Now, as we are close to the end of the year, our adolescents are in their working phase. Everybody has found their individual apprenticeship and is in some kind of educational program. Especially, we are proud that two of our adolescents are going to a floristic school this year and learn the profession of a florist. 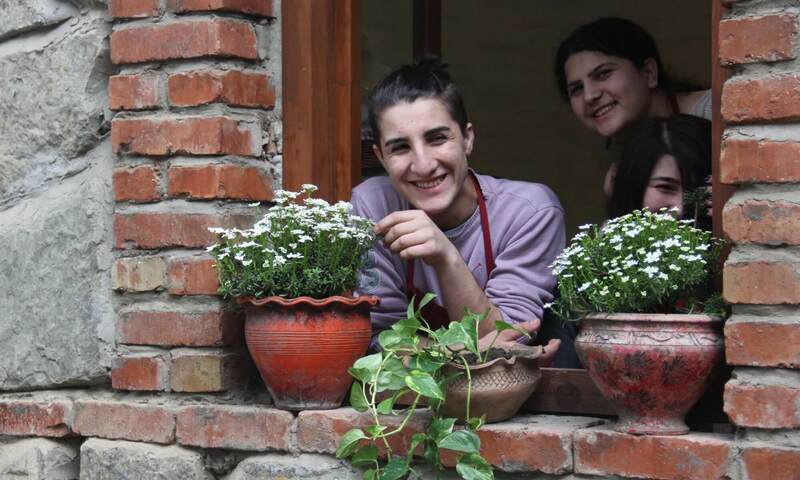 Nutsa and Masho are two very talented girls, who have fun at working with flowers. We see that as a big succes of our work and support the two girls to follow their individual way. Wir befinden uns nun am Jahresende und die Jugendlichen von Life Chance sind nun in der Ausbildungsphase. Besonders stolz sind wir, dass dieses Jahr zwei unserer Jugendlichen die Floristenschule esuchen, um den Beruf des Florists zu erlernen. Wir sehen das als einen grossen Erfolg und unterstuetzen die beiden, weiterhin ihren Weg zu gehen.